Clearsnap GLUE GLOSS Multi-Use Gel Adhesive 100073 at Simon Says STAMP! Success, Clearsnap GLUE GLOSS Multi-Use Gel Adhesive 100073 has been shared! Just like the lip gloss in your purse, this wonderful glue has a long applicator perfect for putting glue exactly where you want it! From their beginnings in a garage workshop more than 20 years ago, Clearsnap has grown into a leading US manufacturer in the paper crafts industry. With the ColorBox line of ink pads, Clearsnap introduced many features common on today's ink pads, such as the raised inking surface, which allows the use of any size inkpad with any size stamp. Cat's Eye ink pads brought high-quality inks to the market at an affordable price. Petal Point and Paintbox ink pads offer removable plates or petals in a multi-color palette. Clearsnap uses only the finest quality materials in our products. When developing a new ink pad, applicator or embellishment, it is put through the paces. 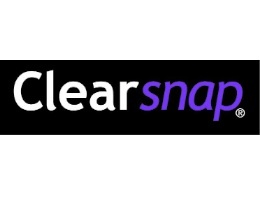 Clearsnap invites some of the best, most experienced and demanding artists to test the new products before passing them onto you!